NIA CHARLESTOWN NEVIS (February 05, 2015) — Junior Minister in the Ministry of Communications and Works Hon. 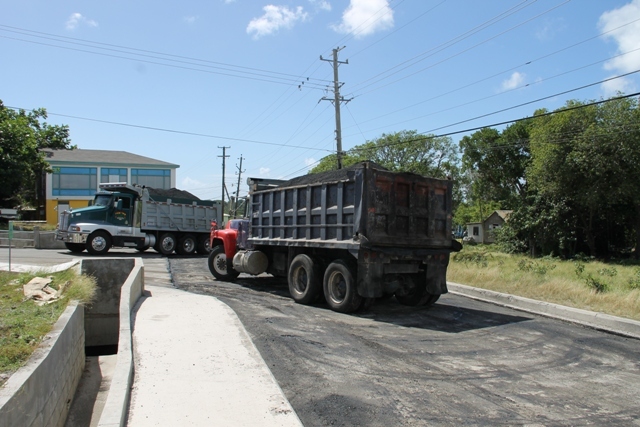 Troy Liburd said the Nevis Island Administration (NIA) will continue to use local manpower, equipment and material to deal with a number of other road projects, in its quest to ensure safer and better roads on the island. 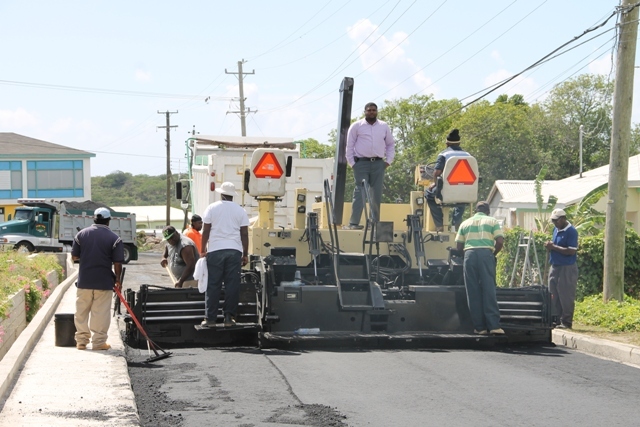 Mr. Liburd who was at the time delivering remarks at the official opening and renaming ceremony for the Stuart Williams Drive and the Carl Tuckett Boulevard on February 03, 2015 said the Ministry had already compiled a list of roads that would receive attention as resources became available. “I want to also make the commitment on behalf of the Government that we will endeavour to get to the other roads as soon as possible,” he said. According to Liburd, plans were already afoot to tackle Hanley’s Road and when completed they would move to the road at Brown Hill. The Camps to Cades Bay road, Shaws Road, roads in Garners, Rawlins Village, Rawlins Pasture as well as the continuation of the Hamilton Road into Church Ground are also part of the Administration’s plans. Mr. Liburd used the opportunity to ask for the support of the people of Nevis as the Administration endeavoured to continue to serve them in the best possible way. The signature road project executed and completed by the Public Works Department was the Stuart Williams Drive which extends from the southern end of what was formerly the Charlestown bypass and the Carl Tuckett Boulevard which leads into Hamilton from its intersection with the Stuart Williams Drive.